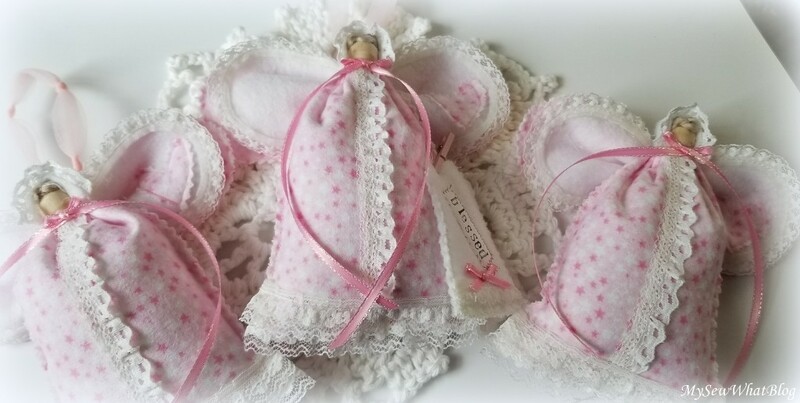 Your"babies" are so cute and pretty!I love each detail!Hugs! My dear Linda, what precious little babies you have created! They are ever so sweet and enchanting. Your creations always make my heart go pitter patter with their loveliness. 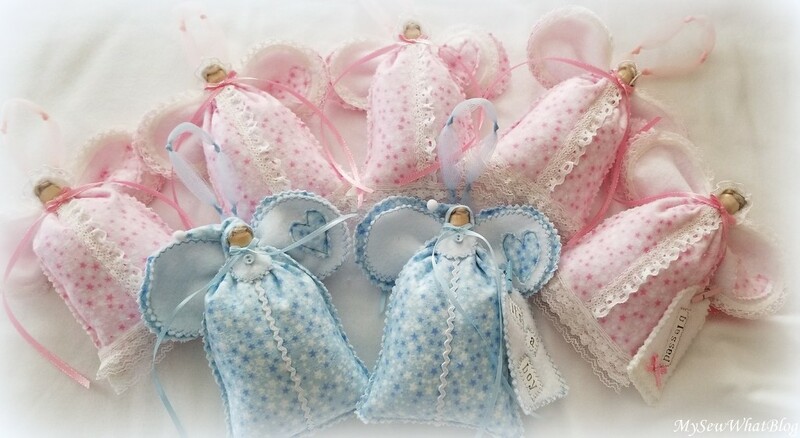 Oh wow these are so very sweet, I love those little bibs and the sweet hearts on the wings. Neat idea to put the date of birth on the tags, great ideas for them too, I would say you did a fabulous job of meeting your challenge! Oh, darling Linda, your babies are truly so sweet and lovely, thank you for sharing them with us today, yours is a real art, sweet friend of mine! Oh Linda, the babies are just too adorable for words!! You do such beautiful work, my friend! Cute! Linda, I'm not very crafty. But next time I have the sewing machine out for mending, I should come to your blog for inspiration and try my hand at something crafty! I just had to stop in and tell you that these little babies are the cutest ever. And I bet you enjoyed making every single one of them! These are so adorable. I love them. 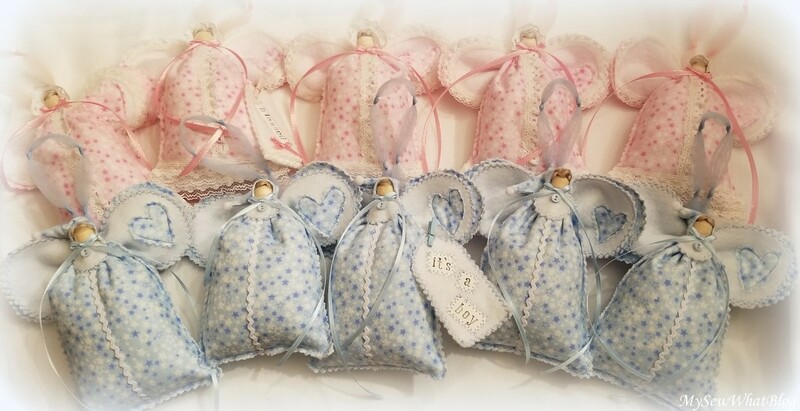 These little baby angels are such a delight Linda. I can see you had so much fun creating them! Thank you for visiting my blog and leaving such a lovely comment. 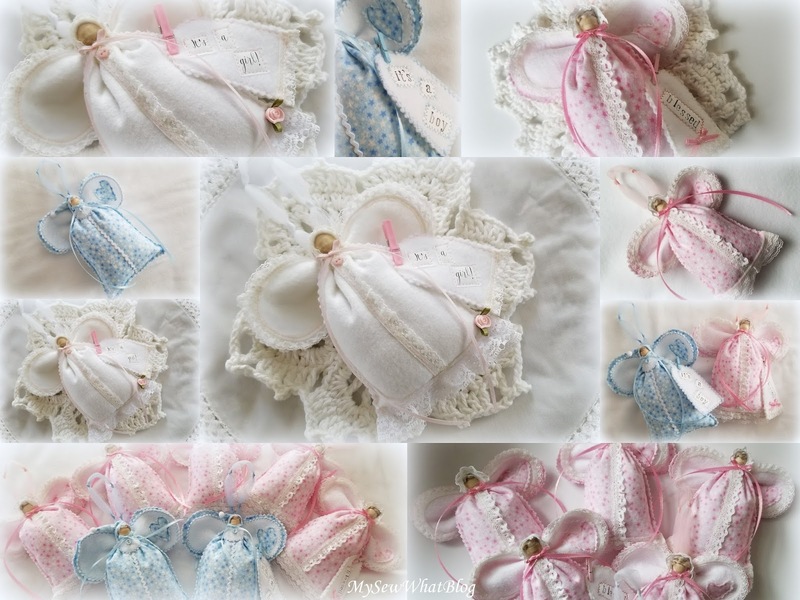 Yes we both enjoy creating with laces and doilies!